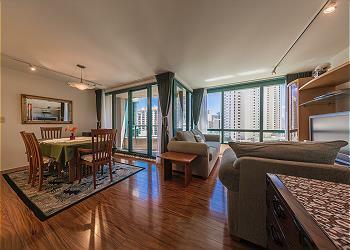 The Waikiki Landmark earns its name in many ways, from its unique architecture to its enduring promise of excellence. 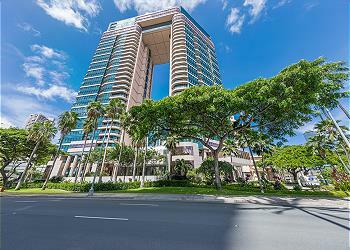 Located at the beginning of the tourist district, this prestigious and stunning building is considered by many to represent the gateway to Waikiki. 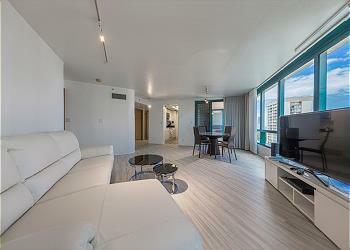 Featuring wonderful residences and recreation areas, breathtaking views, and proximity to the oceanfront lifestyle, this is arguably one of the most attractive buildings in the area. Built in 1992, during the Japanese economic boom, two triangular towers reach up towards to a flat section of penthouses that bridges them, thus creating its distinctive shape. The granite and glass façade is truly eye-catching. 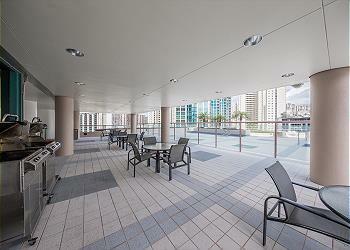 On top of its massive parking structure is one of the best set of pools in Honolulu - several pools, including an Olympic size pool, meander throughout and are connected by waterfalls.